"Vincere is the best system available. They are clearly the leading experts in their field." "Our transition to Vincere was a great decision for our recruitment business. It is innovative and increases productivity." "Quarterly billing is up 30% since we implemented Vincere. What else do you need to know?" "Good price point compared to their competitors." "The data migration over from Bullhorn was something we dreaded but now that we are using Vincere as a team, we are so glad we made the switch." "The 'Killer Feature' is support. If there is something we are unsure of, Vincere gets back to us on it quickly- this is gold!" "Vincere is the only CRM that gets the Client > Recruiter > Candidate dynamic." "Switched from Bullhorn and haven't looked back"
"Blows other systems I've used out of the water"
"Vincere listens to what its users want - this is gold." "40% rise in revenue in 6 months. For anyone running a recruiting business, this is the holy grail. " "Vincere is incredibly user-friendly and has greatly improved our recruitment efficiencies ." "Vincere offers us a very complete tool to manage our job pipeline and candidates effectively." "Switching from Bullhorn was the best thing we've ever done...Vincere is genuinely so far ahead of the rest. Productivity is up, record months happening, much more organisation with the pipeline management. The user interface and features are top drawer. Zero down time. Analytics and reporting functions are amazing too. 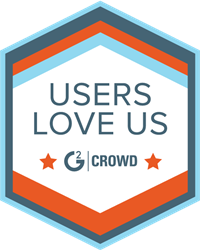 We couldn't be happier with our decision to upgrade from Bullhorn." "Built for people who work fast"
"Vincere has helped us save up to 40% of our time and is 30% more efficient than other recruitment systems I have tried." "I see Vincere as a step towards the future. The CEO and the product team has done a great job and makes life easier all of us so I thank him. Much thanks and love from South Africa!" "Great Software we love to use. Making Placements has never been easier!" "What we massively like about Vincere are the job functions that are so easy and simple to use." "Vincere is modern, sleek and dynamic. Very happy we are running on Vincere." "Vincere is an excellent recruitment CRM system, linking client, recruiter and candidate data and recruiting metrics. And any queries we have are dealt with quickly by Vincere's customer support team." "I’ve been using Vincere for several years now, first as a sole user and now as part of a larger team. This is a system that truly ‘gets’ the needs of recruiters." "We've used a lot of system including Bullhorn, JobAdder and Salesforce. Vincere ticks all the boxes- Glad we found Vincere." "Better than any other CRM I've seen on the market, Vincere was a clear winner"
"Broad system that gives you everything you need to place candidates into new positions." "Vincere comes with everything that a recruiter could want, and is also easy to use and has excellent performance." "I saw all of the fantastic reviews about Vincere and decided to take a trial for myself. It had probably the best reviews and ratings online- for good reason. I have since become a customer." "For the first time I have been able to see very clearly what my consultants are doing, down to how many emails they are sending out and how quickly they are getting CVs out to clients. This exposed some bad habits in consultants who had been with me for some time." "We've blown past annual sales quota in just 6 months with Vincere. That's good, solid ROI." "Amazing. Deep product, plus a fantastic team of people at Vincere." "Vincere has outperformed them all in terms of capability in relation to value. " "If you do recruitment, this is the product for you!" "A big upgrade in terms of technology." "Vincere's UI and UX is top of the class." "It's so easy to track everything"
"Vincere promises efficiency and speed - and delivers." "With just one click, I can get anywhere in the system"
" The interface, the pipeline flow all makes sense to me. A value add for any recruitment firm "
"Convert from Bond Adapt ." " True SaaS Platform that works anywhere "
"It's everything you need and easy to use "
"Perfect for Asia. Multi Lingual Software Is So Useful." " I cannot live without Vincere. " "Vincere's processes are built for recruiters"